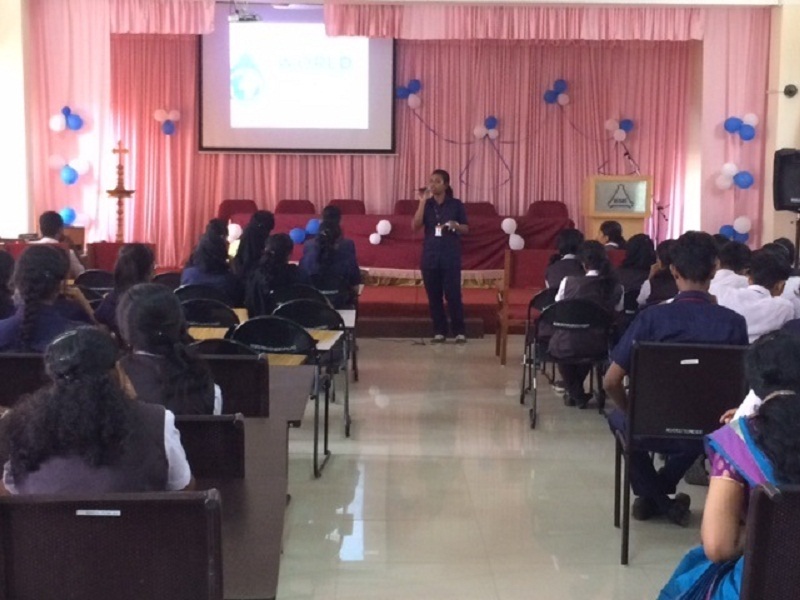 A talk on entrepreneurship was conducted at AISAT seminar hall on 13/04/2016 at 3.30 pm. Prof.Dr. 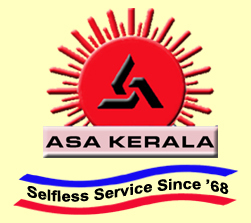 K. E. George, Principal, AISAT delivered the welcome address. Talk was delivered by renowned entrepreneur and speaker, Mr. Roshan Padamadan. He started his own business in 2013, setting up a global hedge fund, called Luminance Global. At that time, he had worked in Financial Services for 9 years and Information Technology Consulting for 2 years. The talk started with a quote by George Bernard Shaw, “The reasonable man adapts himself to the world: the unreasonable one persists in trying to adapt the world to himself. Therefore all progress depends on the unreasonable man”. Rev. 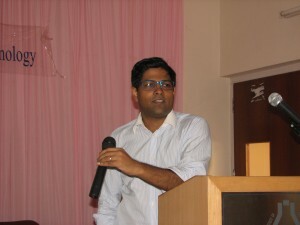 Dr. Clement Valluvassery, Rev. Fr. 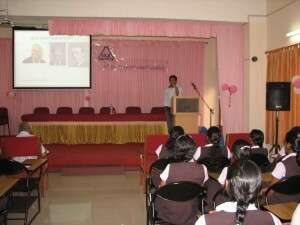 John Christopher, Dr. Babu T. Jose, Dr. K. E. George, Dr. P. X. Joseph and Mr. William Padamadan were present during the talk. Students from S4 ME and S6 CE were present. The talk was both very inspirational and informative. Incidents, mostly initial failures, in the careers of eminent personalities and entrepreneurs including Steve Jobs, Bill Gates and Richard Branson inspired students. He told us that it is not how a person appears that decides if he/she is an entrepreneur. This has to do with how creative you are in your career goals. Creativity may lead to creating new jobs, reducing time or find an efficient and less costly way of doing things. He gave us an example from the career of Richard Branson, about how he was able to save two dollars on his product by directly receiving products by post from the manufacturer. This lead to more profit. He also told how Bill gates used 86 – DOS, made by Tim Paterson to sell his BASIC interpreter to IBM. This was a very effective way to sell a product by saving a lot of money and time. 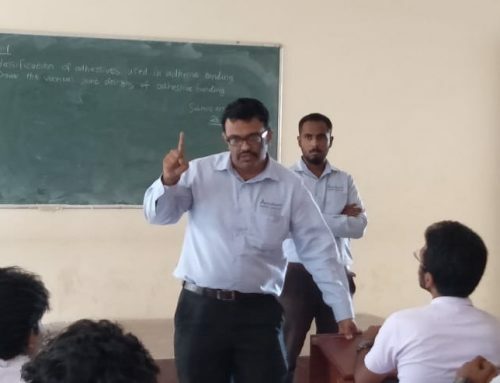 Mr. Roshan Padamadan also explained to students the classic management theories with emphasize on land, labour and capital. He emphasized the role of risk in any entrepreneurship. He told us an interesting way of doubling your role (the two yous in you). For example, by serving two different roles in your organization you could save a lot of money. Then when your business becomes established and want to expand your business, you could transfer your role to another person and focuss on your new goals. Mr. Roshan Padamadan’s talk also emphasized the need for minimum things you need, including roof over your head, initial investment, key partners etc., to start an entrepreneurship. He explained the role of failures in your career. He told us how James Dyson had 5,127 failures in his attempt to bring out a baggless vacuum cleaner. During the interactive session, Mr. Roshan Padamadan told us how to meet and unexpected risk and how to cover the losses in such a case. Mr. Roshan Padamadan also told us about the risk of keeping every aspects of business together and the difficulty in raising the capital. Mr. Roshan Padamadan explained that we can start a company on our own, may be a few key partners and then grow up to a firm that employ many people. He made us aware that how petty corruption could ruin new start ups. The complicated rules also could harm the business. He advised us to look for these factors and go for places where these factors are easily overcome. He explained that why entrepreneurship is a good career goal. This is because our economy is full of transactions and opportunities. If you have eye for opportunities around you, you could bring in some reliable people and make a interesting career. 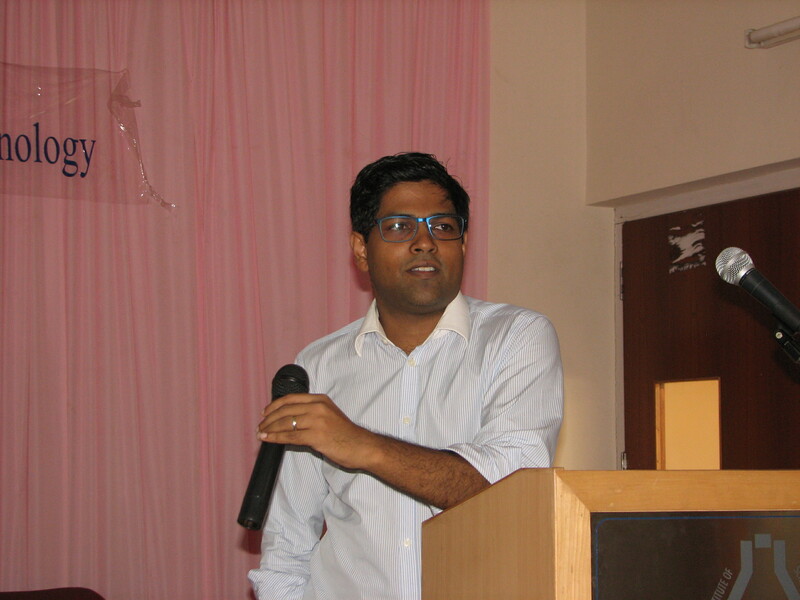 During the interactive session, Mr. Roshan Padamadan explained how self-confidence is important to being entrepreneur. He also told us that self confidence is a necessary but not sufficient factor. We need to look out of opportunities and be brave enough to face the unexpected risks. He also added that since AISAT has an entrepreneurship club, we should stream the Warren Buffet’s annual meet. 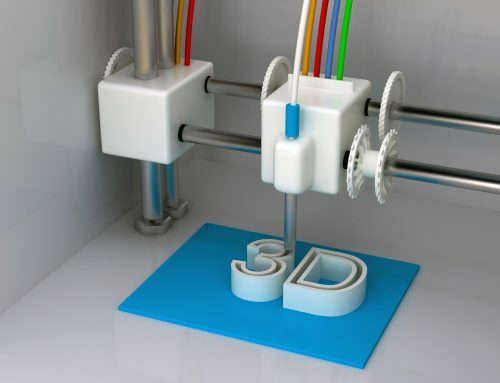 This will enable students to catch up with latest in the entrepreneurship activities around the world. Rev. 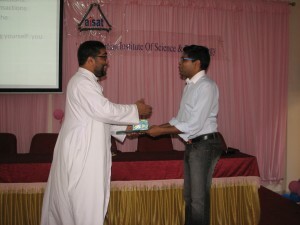 Dr. Clement Valluvassery presented the memento to the speaker. Mr. Bipin Sankar, Asst. Professor, Department of Mechanical Engineering presented the vote of thanks. Mr. Mohammed Anshad was the master of ceremony. After the vote of thanks event was concluded.